In the hills above Berkeley overlooking Lake Illawarra, ZedWorks has designed 20 dwellings on a new sub-division. 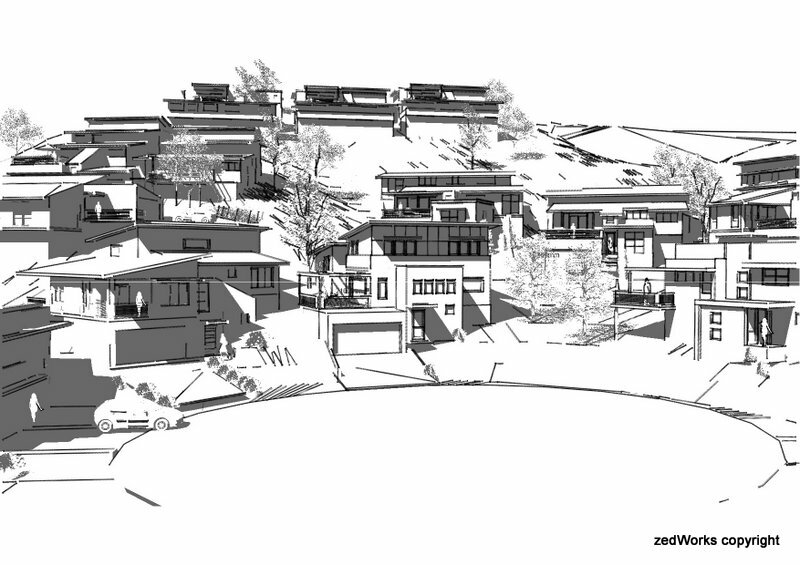 These are challenging mostly sloping sites in an established residential area. Building work is due to start on stage 1 in September 2014. Stay tuned for further updates. 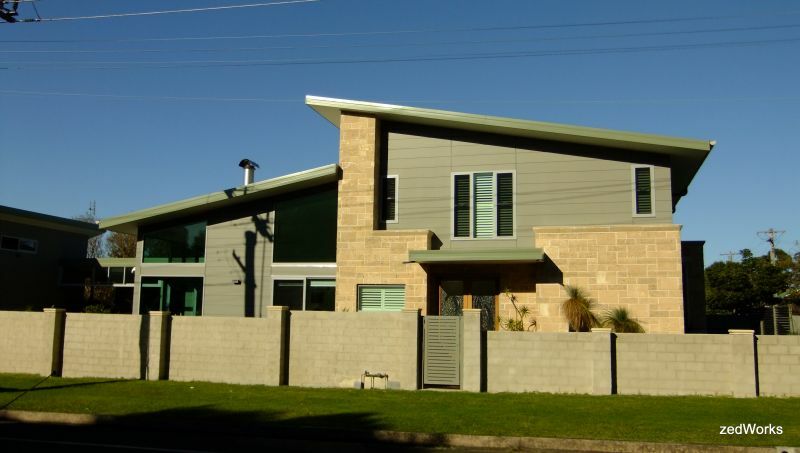 An example of a home designed by ZedWorks near Wollongong University. This site adjoins a busy street, and faces North. Client selected Limestone and painted weatherboard cladding. The high windows flood the living area with light and the masonry fence maintains privacy from the street.